Almost three decades have passed since the day the Soviet flag was lowered for the last time over the Kremlin in Moscow, but the shadow of the Union still looms in many remote corners of former socialist states. Following the resignation of President Mikhail Gorbachev on December 25, 1991, the transcontinental superstate that extended from the Black Sea to the Far East broke up into 15 new countries ready to reestablish their identity as independent nations. But even today, there are areas of the ex-USSR that appear to have remained stuck in time, offering a glimpse into Soviet life through tall standing statues, utilitarian architecture, and a seemingly endless number of Lada cars. 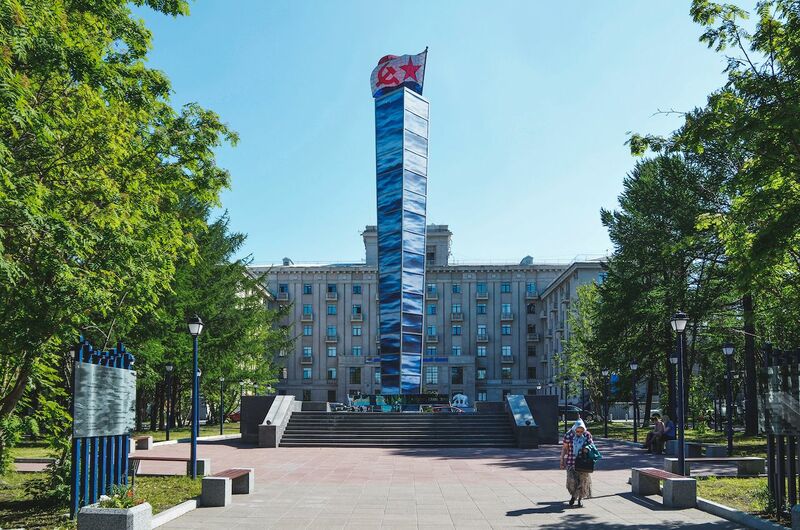 Monuments dedicated to Lenin, Marx, and other Communist idols still abound in Putin’s Russia, and even when the propaganda is not so evident, concrete towering blocks and the occasional hammer and sickle give an idea of what living under the rule of the Politburo felt like. Here are seven post-Soviet cities that will bring you back to the red era. A 30-hour train ride from Moscow takes you all the way to Murmansk, the largest city in the Arctic Circle, with a population 300,000. Upon arrival, you will be greeted by a red star peeking up toward the sky on top of the train station, and while walking toward the city center via Lenin Street, an odd collection of Soviet-era plates, statues, and busts will welcome you into this frozen (literally) city of concrete. It is right on the water that you will find one of the symbols of the Soviet era, the first nuclear-powered icebreaker ever built in 1957. The Lenin ship today has become a museum, but Murmansk remains the base of the Atomflot Federal State Unitary Enterprise, the fleet of Russian nuclear vessels used to cross the Arctic. 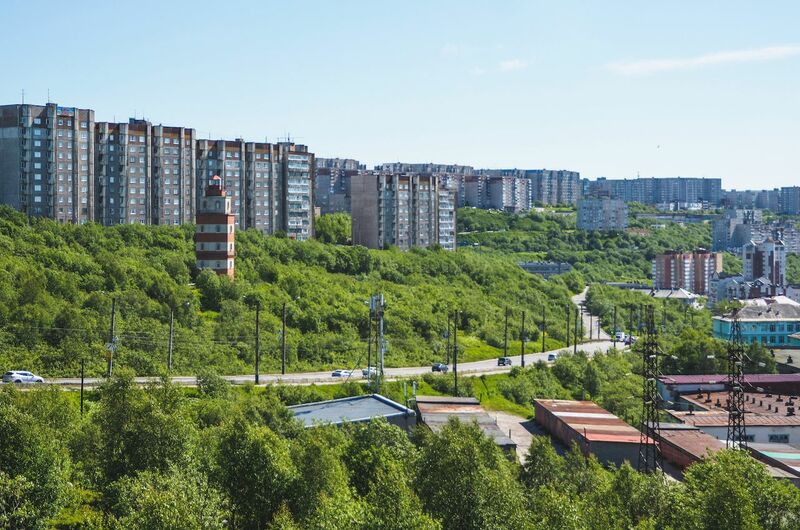 During the winter, the sun never rises in Murmansk and temperatures stay well below zero, but in late spring the Kola Peninsula comes back to life and the hills surrounding the city turn bright green — a pleasant contrast to the infinite row of gray apartment blocks that surround the town center together with the Alyosha Monument, the 116-feet concrete statue built in memory of World War II fighters. Even though it has its own currency, parliament, football federation, and army, Transnistria does not officially exist in the eyes of the international community. Recognized as a sovereign state only by Abkhazia, Nagorno-Karabakh, and South Ossetia, the self-governed territory refused to detach itself from Moscow when Moldova declared its independence. The desire for autonomy led to the 1990-1992 civil war, which ultimately resulted in the breakaway nation proclaiming itself a republic without the approval of any UN member state. Located between the Dniepr River and Ukraine, Transnistria vaunts its Soviet roots in every way possible. 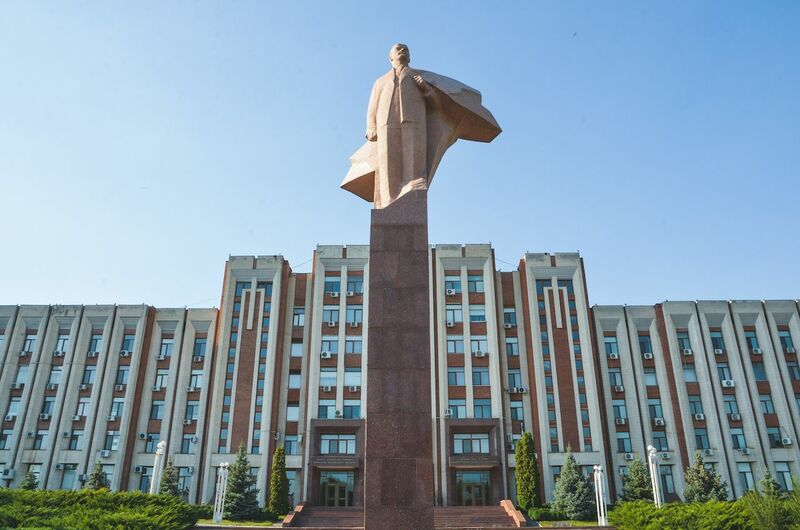 Its red flag still carries a hammer and sickle, military tanks are placed on pedestals throughout the city, and a heroic Lenin stands tall in front of Tiraspol’s parliament building. While Transnistria has been a closed-off territory accused of human and arms trafficking and money laundering, today it’s safe to visit. Tiraspol is accessible from both Moldova and Ukraine, with minibuses traveling from Chisinau and Odessa. No official border exists, but the ill-famed checkpoints are obligatory stops to obtain the access permit — a flimsy square of paper that you should be careful not to lose. 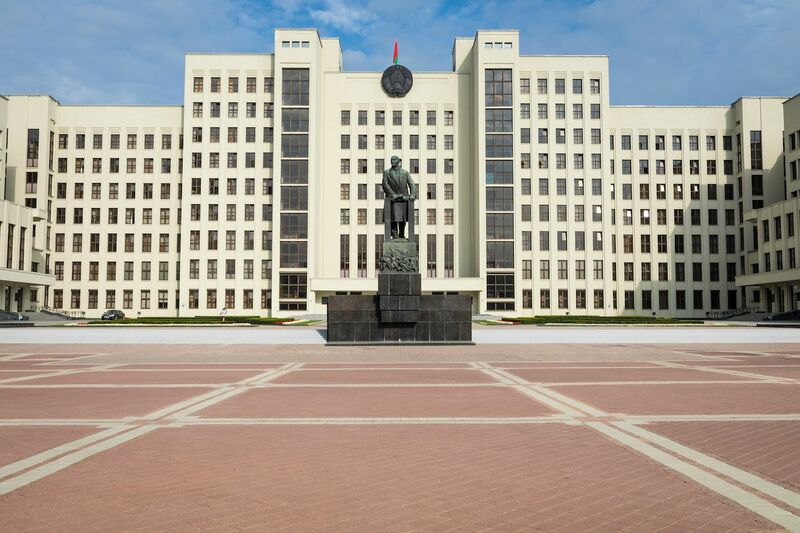 There is no set rule about how many days you’re allowed to stay in Transnistria, however, the country appears to be opening up to tourism, giving three, five, and even 10-day permits. A brutalist wonderland located just below the Russian border in northeastern Ukraine, Kharkiv (or Kharkhov, in Russian) is a sprawling city of large squares, large roads, and unique architecture. Until 1934 the city was the capital of Soviet Ukraine, and although it may appear hostile at first sight, both because of its dramatic urban landscape and its military-inspired monuments, Kharkiv is a lively city of hidden bars and a diverse student population. After Freedom Square, one of the largest city squares in Europe, the most impressive sight in Kharkiv is the Derzhprom, the Palace of the Industry. 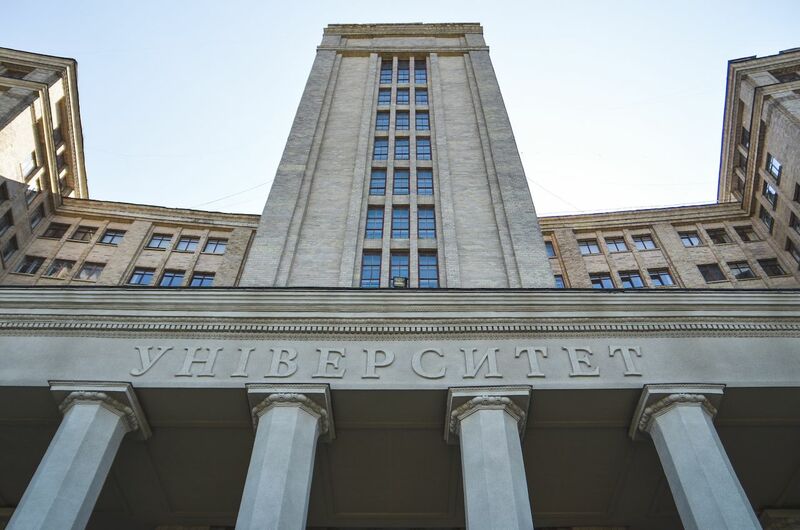 The monumental building opened in 1928, meant to house the governmental bodies before they relocated to Kyiv (Kiev in Russian), and is a precursor to the Brutalist movement. The structure comprises of small concrete and glass skyscrapers (five to 10 stories high) interconnected by bridges of the same materials. A statue of Lenin used to be placed in front of the entrance, however, it has been demolished as most monuments of the Communist leader in Ukraine have been. For many years, obtaining a tourist visa to enter Belarus was a hassle for Western tourists, but recently the country seems to be opening up to foreign visitors by loosening regulations. Isolation has preserved the Soviet identity of Belarus, and reaching Minsk can feel like traveling back to a time of monumental architecture, surreal war memorials, and wide open roads. During the Great Patriotic War, the Nazis had completely destroyed Minsk, decimating the population and obliterating most of its urban landscape. 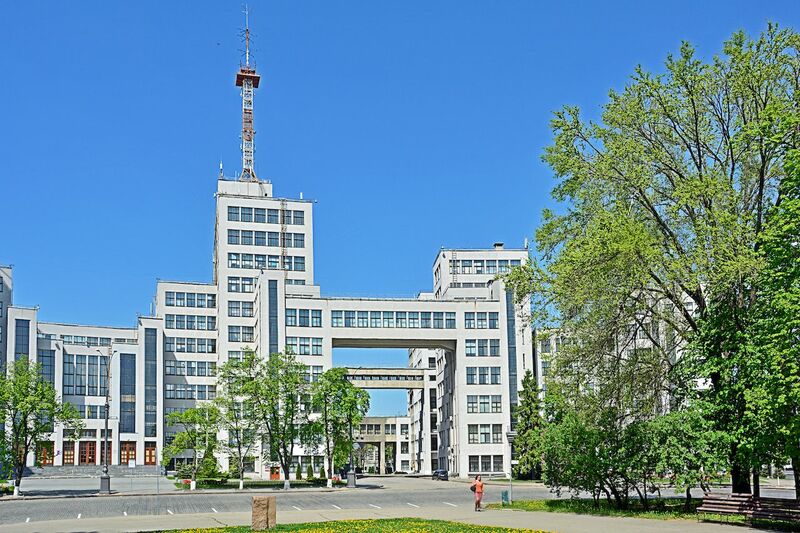 Once the Red Army liberated the city in 1944, the plan to move the capital to Mahiliou was abandoned in favor of a major renovation program that transformed Minsk in the city that we see today. From the old KGB headquarters to the classic Soviet metro station and the enormous Independence Square, Minsk pays tribute to the Soviet aesthetics in every corner of the city. Although Georgia is trying very hard to come closer to Europe and leave behind its Soviet past, the birthplace of Joseph Stalin is still an attraction for those seeking to know more about the origins of the Bolshevik movement. Gori is found about 50 miles west of the capital city of Tbilisi and offers a glimpse into the Caucasus’ red past. 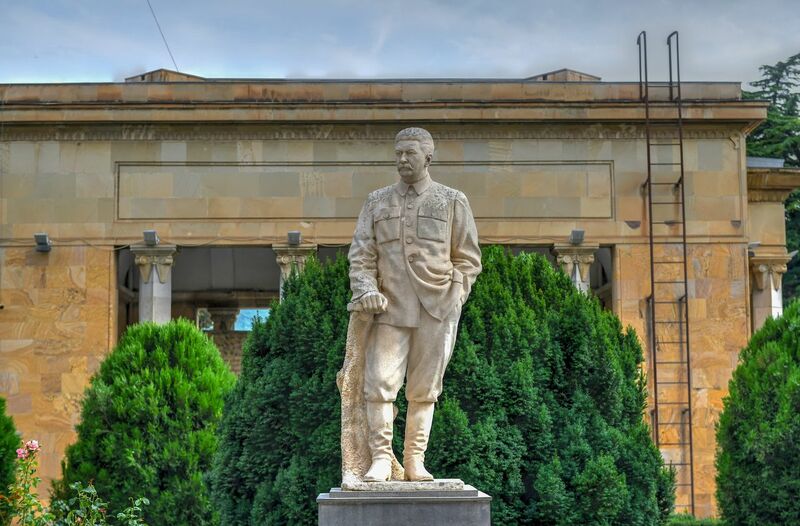 The 20-foot-tall statue of the Soviet dictator that stood in front of the municipal building was removed in 2010 along with many other Communist symbols around the country, but the house where Iosif Jugashvili, Stalin’s real name, lived still stands as a mausoleum in front the large museum complex dedicated to him. Gori today is a quiet town surrounded by arid hills, however, it still carries the scars of the Russian-Georgian conflict of 2008. Bullet holes are still visible on the facades of the buildings on Stalin Avenue, the main avenue in the center of Gori. 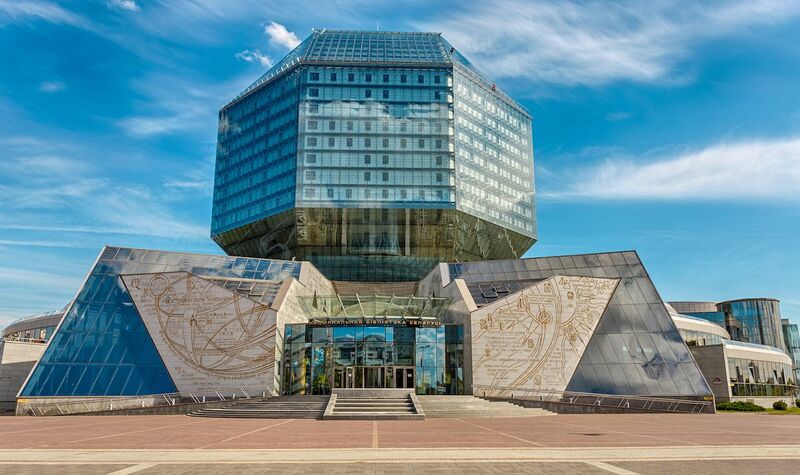 Located in the heart of western Russia on the banks of the Volga River, the industrial city of Volgograd has changed its identity three times over the course of the last century. 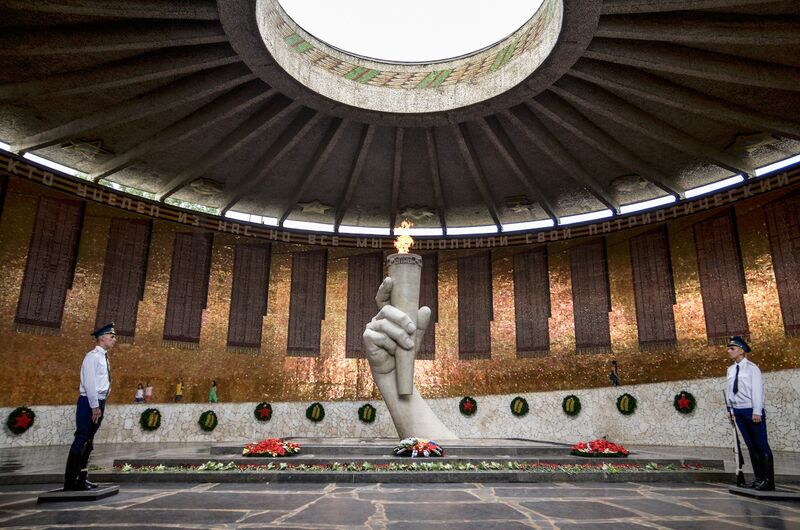 Known as Tsaritsyn until 1925 and as Stalingrad until 1961, Volgograd is remembered mainly for its role during World War II. In the summer of 1942, the Red Army managed to stop a German attack after the city had been almost entirely destroyed, turning the war around in favor of the Allies. Following the Battle of Stalingrad, the city was named Hero City of the Soviet Union, and a massive memorial complex was built on Mamayev Hill, overlooking the newly erected skyline. 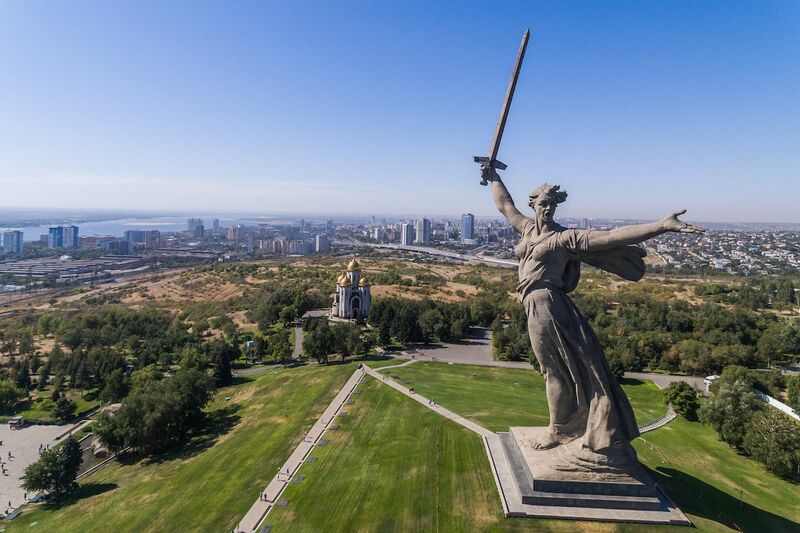 The Motherland Calls is said to be the tallest statue of a woman in the world, at a height of 172 feet. An eternal flame at its feet is constantly guarded by armed police. Volgograd is also home to what is believed to be the tallest statue of Lenin on the planet, with its imposing height of 187 feet. The grid-shaped capital city of land-locked Kyrgyzstan stands in stark opposition to the natural beauty that surrounds it, with the Issyk Kul, the second largest alpine lake in the world, and the Tien Shan mountains just a few hours’ drive away. 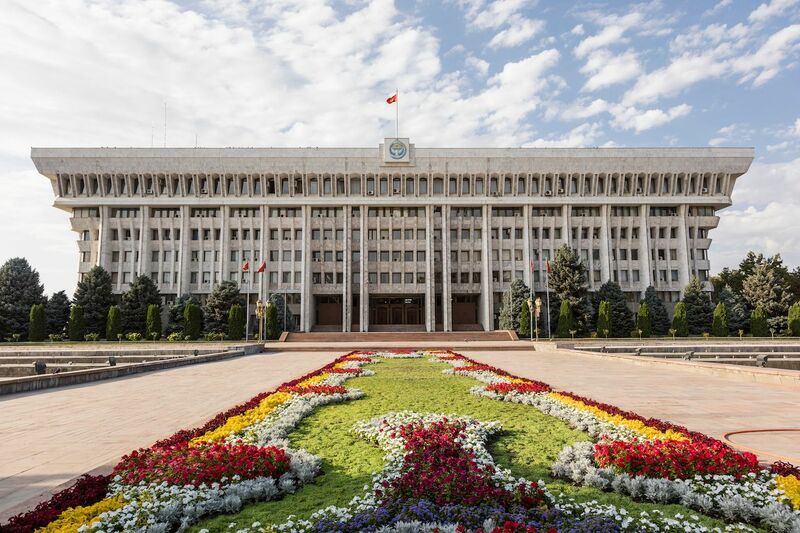 Before the collapse of the USSR, Bishkek was known as Frunze, the name of a r evolutionary and Red Army leader, and was built as a utopian architectural experiment made of lush gardens and modernist buildings. One of the most prominent examples of this visionary urban planning is the State History Museum, built in the main square of Bishkek with its block-like shape — but it doesn’t take long to come across other fascinating structures from the past century, such as the striking Stalin-era White House or the iron and concrete Sports Palace.